Networking Events, Site Visits: America’s SBDC at TCNJ to Host Several TBW Events – Register Now! The 21st Annual Trenton Business Week offers a variety of programming throughout the week, with sessions on buying a franchise, social media setup and marketing, funding and grant sourcing, the state of the capital address featuring Trenton Mayor Eric Jackson, the Central NJ Business Expo, opportunities for networking and so much more! EVERY business in Mercer County faces challenges in their operations, facing problems or forging growth. Bring America’s Small Business Development Center at the College of New Jersey’s A-Team to your business for help. 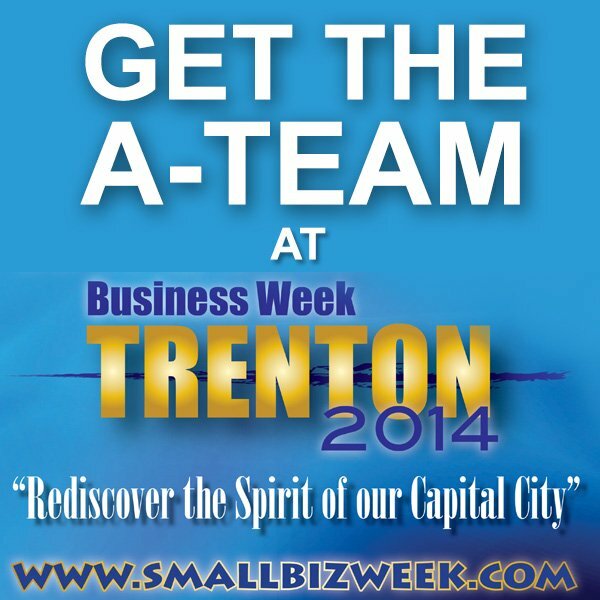 Whether you seek to secure financing, manage human resources, create lean processes, or get help with marketing and sales, no matter your concern, the A-TEAM Experts will come to YOUR site to ASSESS and ANALYZE your challenge, ADVISE you with recommendations and help you create an ACTION Plan at no charge to you during Trenton Business Week. Please be prepared to discuss your specific challenges so you can be matched with the appropriate consultant. To honor Don Addison who always teaches and practices connecting businesses and organizations in our local area, we are inviting local businesses to come, get connected, and support our local B2B opportunities. Donations are welcomed to support the Trenton High School Inspirational Choir. Please bring checks payable to Trenton HS Inspirational Choir. Networking is free. Preregistration is required. Please call 609-771-2947 to register. ALSO: Check out the free TBW Networking App! Connect with other businesses attending Trenton Business Week! It’s easy and free to register. Sign in using your email address, or connect via your LinkedIn profile to access the network from the web and your mobile device. Learn more about Trenton Business Week and take advantage of the opportunity to meet, connect and learn from other Trenton area businesses.